Indianapolis church's apartment appeal denied. INDIANAPOLIS — Construction had already started when this church's appeal to build a senior living facility was denied. Christine Lucid recently moved into a home just a couple doors down from One Christian Church — a place she knows well. "I don't know what you can do with what has already been done with that property," Lucid said. The church, led by Pastor Jeff Stratton, has been trying to build a 23 unit apartment building for it's senior members. The Metropolitan Development Commission ruled Wednesday that the project isn't compatible with the community and the apartment would be greater than the accessory use of ten percent allowed on a church parcel. "We weren't even sure if it was feasible to do two story apartments for the elderly," Carol Decker, a woman who lives nearby, said. 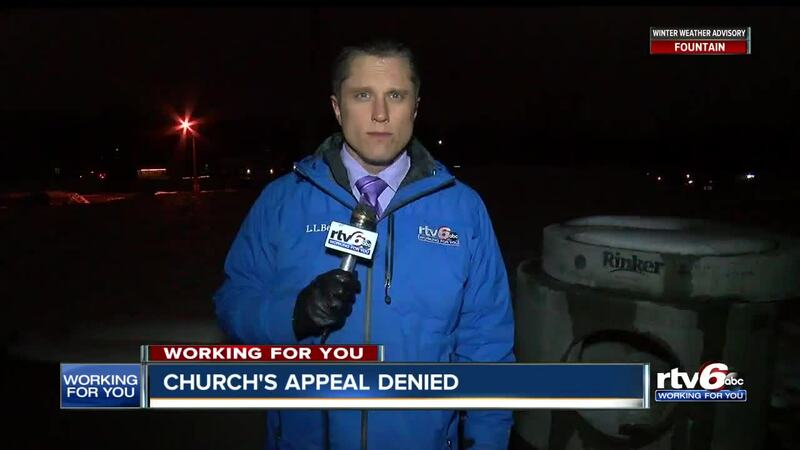 Pastor Stratton told RTV6 that he didn't make a plan to lose the appeal and is still researching options. The church has spent over $500,000 of a loan on the project, installing sewage and digging drainage. The Pastor said he won;t take a salary this year because he feels responsible for putting the church in a tough financial position. A church member said her 80-year-old mother was planning to move into the apartments, and now has to make other plans. Pastor Stratton said he will tell RTV6 what his plans will be once he figures them out.